The Primary section students of the school are engaged in a host of activities of their choice during the scholastic year. This is a part of the curriculum (for the non-sports division) and the children get to choose from the following activities-Gymnastics, Judo, Karate, Lawn tennis, Dance, Speech and drama, Chess, Art and craft, dance and skating. The students learn different skills, thanks to the able guidance of their instructors. The annual activity day is a day set aside for the children to showcase these talents and skills acquired in their training, and also an occasion for the parents to see their children perform on the stage and see for themselves the fruit of the activity sessions in school. The programme was held on Sat 23rd March 2019 in two sessions-morning for Stds 1 and 2; and afternoon for Stds. 3 and 4 in the Bianchi hall. The program began with the traditional lighting of the lamp by Rector Fr. Crispino D’Souza, Principal Fr. Bernard Fernandes and Primary Head teacher Mrs. Griselda Fernandes invoking God’s blessings on everyone present. Thereafter the young boys trained well to compere the show welcomed the gathering and introduced the day’s items in order of their appearance. It was a scintillating program with variety-there were skills and action galore keeping in mind the plethora of activities on display. Fr. 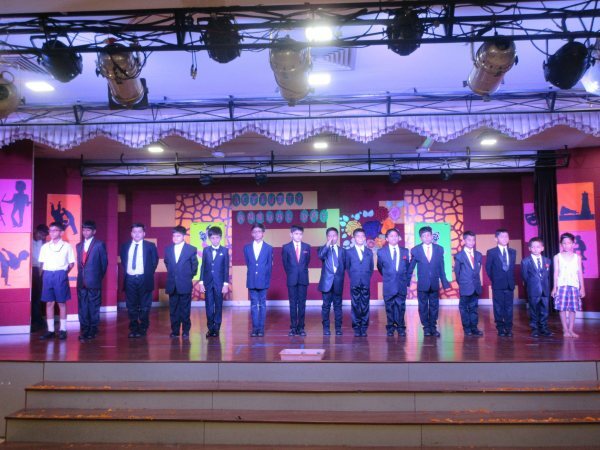 Rector in his speech said that the students here at Don Bosco Matunga are privileged to receive an all round formation that extends outside of the classroom. The Principal thanked all the staff and instructors that were responsible for the day’s planning and execution. He thanked the parents for their presence and support and encouraged them to continue being a significant part of their children’s formative years.